All the leaves are falling down. Summer's over - autumn's here! 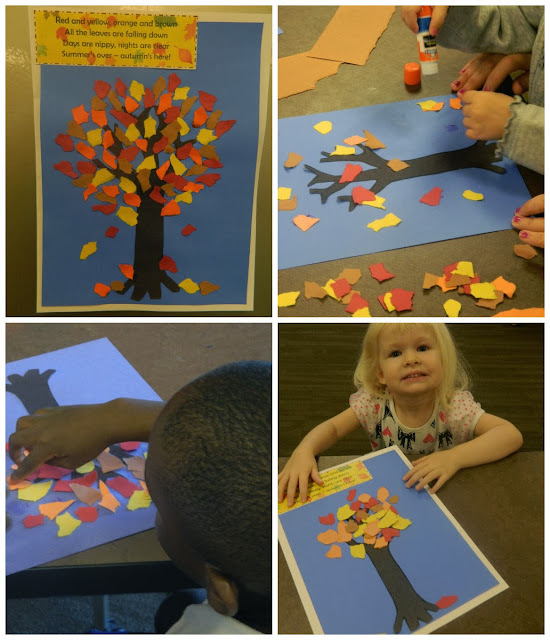 Despite the fact that it was approaching 80 degrees this morning, we celebrated the turning of the leaves at Make-and-Take Storytime today. Isn't that skunk just the most adorable little guy?? I took him right out of the pages of the book. 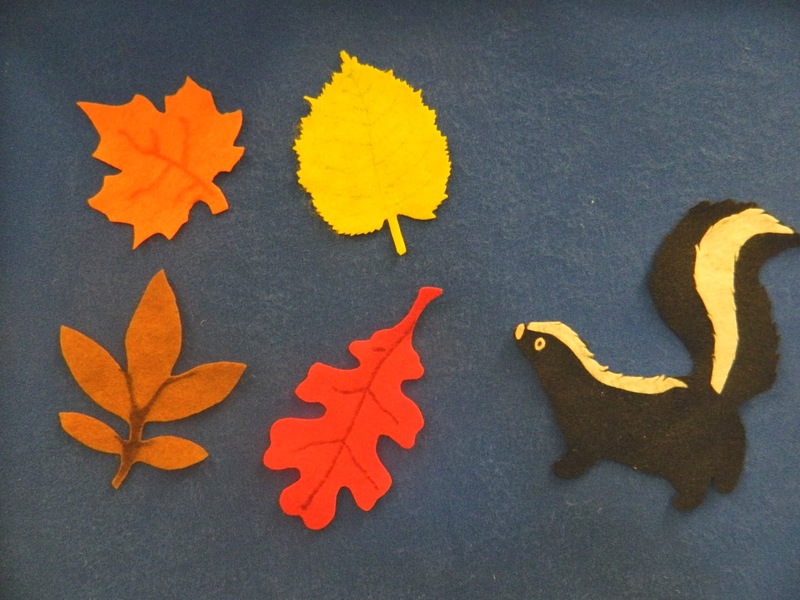 Each child had a tree, a blue background, a glue stick and strips of red, yellow, orange and brown construction paper. Everyone ripped pieces of paper for the leaves and stuck them to the tree (including some leaves "falling down" and on the ground). At the end, each picture was mounted on a piece of heavy white cardstock and I attached the copy of the poem for a final presentation.